Na Nach Nachma Nachman Meuman: See Yourself See God, Sing Na Nach Nachma Nachman MiUman! See Yourself See God, Sing Na Nach Nachma Nachman MiUman! Rabbi Nachman says (Likutay Moharan, Tora 56) a person can forget and lose sight G"f of holiness, where what is wrong is hidden for him, even still this person can realize that he's in the dark and that he's mistaken. If the person doesn't move to set himself straight, to clarify and delineate his holiness then G"f he can fall into complete hiddeness, a state of unawareness that he's even in the dark. Even still, however hidden he is God is there and giving him life and support. This is true on every level of holiness, there are states of awareness of greater holiness and states of unawareness and utter darkness. Rabbi Nachman says that obviously there is nothing that can exist outside of God, so the deeper and darker the abyss, the higher the source of Godliness is rooted and hidden there to give existence and reality. In places of awareness, the Godliness is present as it is manifested, but when a place is so dark and God's presence is completely hidden, God's presence there must be from a much higher and esoteric place, so much deeper and holier that it is not touchable by the darkness. Rabbi Nachman says that when a person is in such a state of complete darkness and unawareness and he calls out to God, reaching out for holiness, he will reveal the highest and deepest secrets of the Tora, the most profound expression and experience of God. What are the highest and deepest secrets of the Tora? Tora that is mamash personal, touching and embracing the soul. The Sulam explains that if you hear two people whispering, what they are speaking about doesn't interest you, but if you hear your name mentioned, then suddenly you want very much to know what they are talking about. The secrets and the real profundity of the Tora is when you hear the Tora calling you name, speaking directly to you, to your soul. When a person is aware of God, he has a very limited sense of the greatness of God and how much God really means to him, how much he means to God, and the magnitude of their relationship. When a person is no longer aware of God, and can not detect God, God is no longer a superficial external presence to this person. God has, so to speak, entered the deepest place in this person's being, and just as a person can not see his own self, he can not see God. When this person calls out to God, reciting the holy words of the Tora, calling and shouting "Where is the place of His Holiness" (Likutay Moharan II Tora 12, and Tora 7), he will reveal to himself how he is in fact One with God. Real holy people are always facing the darkness, the venue which they are lacking the appreciation of God, they are confronting the points where they are unconscious of God, and entering this abyss with prayer to shine the utter esoteric awesome hidden light of God into themselves, their souls, and the whole world. This is what is said of our father Avrohom who walked before God, where as Noach just walked with God, content to know that he was doing good and holy things. That's why Noach had to be saved by entering an ark as the whole world was destroyed. Noach remained in the right, even as the whole world was destroyed, Noach held onto his holiness not succumbing to the darkness around him. After, when Noach drank wine, which reveals the secrets – the deeper self, Noach exposed himself to be very deficient. Rabbainu explained that there are much greater levels than that of miracle workers. Rabbainu explained that this is the same concept of a king who appoints a simpleton to guard the treasury, treasures that have already been attained and just need to be guarded. When it comes to planning new conquests the king calls upon the wisest advisors. When guarding treasures, previously acquired levels, it is important to be simple, faithful and honest. Noach was this (until he drank the wine), the charlatans brazenly draw from the treasures for their own purposes. The real tzadikim give their treasures to the world (see Likutay Moharan Tora 20 and the correlating dream recounted in Chayay Moharan), as they courageously set out on new conquests. 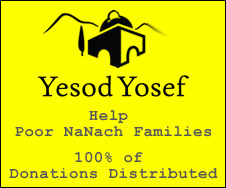 Breslover Chasidim would say, the greatest miracle Rabbi Nachman did was to bring them to higher levels of awareness of God, instilling them with holy brazenness to stand up to the darkness, apathy, and hatred of the world, to believe and cry out to God, to reveal that they are in fact One with God. Shlomo Carlbach relates a short story he read, about a couple who really love each other but found themselves constantly fighting, so they decided to separate for a while, the woman would stay with her family and the man would travel. The woman receives a letter from her husband telling her how he went to Milano and was partying and found a beautiful woman, and what a great time he was having. She was very hurt. A week later she gets another letter from her husband, telling her how he went to Madrid and was having such a good time with a pretty girl he met. The woman felt crushed. This transpired over and over again, and the woman was so broken she couldn't bear to stay with her family and opted to return to the solitude of her own house. Upon arriving and settling in, she detected a light in her husband's study, approaching the study she slowly opened the door and discovered her husband sitting there bent over his typewriter. Completely flabbergasted the woman gasps in shock, the husband becoming aware of his wife's presence rushes over to her and embraces her. He tells her, do you think I could have left you even for one second, I was here the whole time waiting for you. Reb Shlomo says that this is exactly what happened with the Jewish nation, as we went into exile, suffering all the persecutions, the whole time God was waiting for us to return to him in Israel. This is also true on a personal level. God is mamash with us, He is just waiting for us to come back to Him, do discover Him. Rabbi Nachman related a parable about this. A person, Chatzkal, once dreamed that there was a treasure buried under the bridge in a distant city, he journeyed there and a guard told him that he's crazy, the guard told him, I had a dream that there was a treasure buried under the floor of Chatzkel's house. Chatzkal went back home and dug up the treasure. Our treasures are with us, but we need to come to the Tzadik to discover them. Every time we say Na Nach Nachmu Nachman MiUman we build and strengthen our own identities, personality, and character. We are discovering the awesome God who is One with us. The Tora Portion, Tzav – Command, begins with the commandment to always have a fire burning on the alter. In the first comment of Rashi, he explains that the language "command" conotates encouragement for something to be done with alacrity in the present and the future, Rabbi Shimon says, the Tora especially has to encourage this way in a place where there is loss of "keess" (wallet, i.e. money, Keess can also mean covering). All the commentaries are asking what is the monetary loss involved in this mitzvah, and why all mitzvos that do have monetary loss was this particular commandment given special attention. B"H we can explain simply, the mitzvah of having a fire constantly burning on the alter doesn't allow for the presence and the setting in of darkness – the absence of covering. There is special need for encouragement that even in the lack of setbacks and darkness, there should still be complete and utter devotion to achieve the highest commitment possible. There was once an extremely wealthy Breslover Chasid, R' Aba (if I remember correctly) who was a huge Ohvaid Hashem (servant of God) and Talmid Chuchum (Tora Scholar), he said that despite all his devotion to God he was not capable of sighing as R' Getzel (if I remember correctly) – a certain destitute Breslover Chasid. When all is well and all lights are green it is very hard, nearly impossible to elicit a cry from the very depth of our being. R' Aba desired to experience God in the deepest depth of a suffering man's sigh. The Shabos before Pesach is called Shabos Hagadol, the Big Shabos, this Shabos corresponds to the preparation that the Jews made for the Pesach, a very brave and courageous task openly defying their masters. It also corresponds to the present day mayhem of preparation for the Holidays, the cleaning and general commotion. This is a time to achieve greatness. Rabbainu said that he likes a "fried" chosid. Na Nach is the complete tikun (rectification and ordeal), for a person to experience and unify himself in God. Great blessings of Na Nach Nachmu Nachman MiUman! Enjoyed this and shared with a friend.